Every week, new releases for apps come to the market. Every quarter, there are new startups launching that are keen to disrupt (meaning steal market share!) established companies. The old way of doing business just isn’t going to cut it any longer. Some big firms choose to acquire small firms to keep pace, but that’s an incomplete solution. That’s where DevOps comes into the picture. “DevOps describes approaches to speeding up the processes by which an idea (such as a new software feature, a request for enhancement, or a bug fix) goes from development to deployment in a production environment where it can provide value to the user. These approaches require that development teams and operations teams communicate frequently and approach their work with empathy for their teammates. Traditionally, software development and IT operations were separate functions. Development focused on innovation and launching new features to the company. Operations, on the other hand, focused on maintaining current technology, managing vendors, and keeping the business going. The traditional approach delivered benefits in the form of specialization. It’s no longer good enough to take your time with this traditional approach to development and deployment. Your business users and customers will no longer tolerate “maintenance” days where you turn off mission-critical systems for 3, 6, or even 24 hours. Separate development and operations mean that there are roadblocks and delays in getting new features launched. In an increasingly competitive world, you’re going to fall behind unless you adopt DevOps. Which Companies Are Embracing DevOps? In 2019, DevOps is no longer a novel approach to innovation. Therefore, if you’re considering adopting or expanding DevOps today, you’re probably in a risk-averse organization. To help you make a case for DevOps, review a few major success stories that used the methodology. The mega retailer’s embrace of DevOps started back in 2011 with the launch of WalmartLabs. Since then, the company has developed several open-source tools to improve developer productivity. Further, Walmart is also pursuing an agile approach to accelerate new deployments instead of the slower, traditional waterfall project management style. When you operate a platform that millions of companies depend upon, downtime is expensive. Unfortunately, Etsy faced that problem whenever it implemented site upgrades. Through adopting DevOps and continuous releases, the company can launch daily site updates without hurting the user experience. Lest you think DevOps is limited to retailing, consider this success story from the retail industry. Because of a large volume of legacy processes, innovation at Fidelity is a challenge. To improve productivity, Fidelity adopted a continuous release approach. This means new releases come out daily rather than taking years. As a result, the company is making the most of its developments and test staff. Now that you’ve seen DevOps achieve such success, your company is sure to adopt it right away! Not so fast! Cultural change, especially when it involves changing how people work every day, doesn’t work that fast. What Stands in the Way of DevOps Success? If you want the benefits of DevOps, meaning less downtime and faster technical innovation, then you need to know what you’re up against. In our experience, three barriers stop DevOps from succeeding. Whether DevOps inspiration comes from your developers or from senior management, leadership support is a critical variable. In practical terms, IT leaders need to lead the way in DevOps. That means rethinking incentives, adjusting delivery expectations, and allowing space to fail. That last point is especially critical. Adopting DevOps will take some time to pay off, and you need to be patient during the learning curve. At the department level, review how goals are designed for development and operations. Specifically, consider whether speed and collaboration are explicitly called out. Changing to a DevOps culture is easier when everyone can point to clear goals. To accelerate your progress, choose a single goal that DevOps can achieve faster. This could be upgrades to your e-commerce website to avoid downtime, or reducing system crashes in your mobile apps. It’s true that no one technology makes or breaks DevOps success. That being said, the technology may hinder your DevOps ambitions. For example, look at your project management tools. Do these tools insist on change requests and detailed project schedules? If so, it’ll be tough to shift to an agile mode. On the other hand, if you install the right applications, DevOps will become much easier. You’ve fixed your goals, and you have leadership support. What can you do this month to ensure you’re your DevOps programs is a roaring success? Focus on equipping your team with the right supporting technology. Let’s focus on helping operations since they tend to get less attention than hotshot developers do. Your DevOps project will never get off the ground if your staff is overwhelmed with busy work. As the IT manager, bring up this workload issue with your team. Ask them to identify activities they have to do every week. 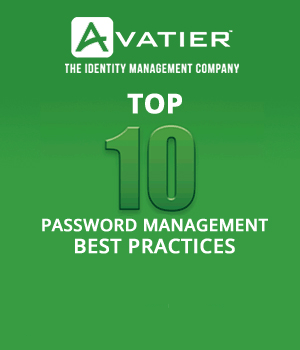 As you go through the list of repetitive activities, you’ll probably find that password maintenance is a common issue. Suppose you found out that password issues take up 5% of an average workweek for operations. You can reclaim that valuable time for DevOps by installing a password management software solution such as Password Station. Instead of forcing your employees to ask the help desk for password help, they can self manage. 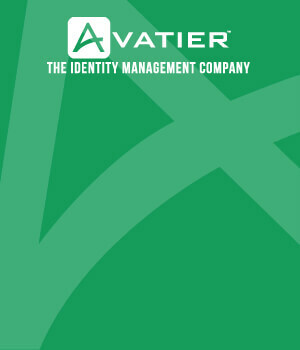 Even better, your organization’s security enforcement will become more consistent.